I was supposed to be a member of the class of 2021, but a serious back injury and surgery meant that my life went on hold for a year. I took the year off to not only recover physically, but mentally as well. I had suffered from an anxiety disorder since I was young, but that injury led me to experience a greater level of anxiety that I had never experienced before. Growing up, I always tended to push down my anxiety as much as possible and tell myself that other people often felt the same way. This year, however, forced me to recognize my anxiety at face value and learn that it is something that will always be a part of me and something I will have to manage throughout my life. When I arrived on campus for Wildcat Welcome, one of my favorite things about Northwestern was the amount of community support available. The transition to college can be hard, but the “Northwestern101: Community” panel discussed both safety and mental health. The panelists discussed how the transition to college was a difficult adjustment for them, explaining how they often felt stressed and alone. Moreover, they reassured us that whatever we might be feeling was normal and that there are professionals at CAPS to help us. That really resonated with me, as I was already feeling exhausted both physically and mentally by that point in Wildcat Welcome. The transition to college life was especially difficult, after being isolated from my peers for a year and relying on my family to take care of my basic needs. The combination of being in a completely new environment, being responsible for myself and starting school again all while constantly being around other people was a lot to handle. While I couldn’t continue sessions with my therapist at home once I got to Northwestern for logistical reasons, I thought about making an appointment with CAPS, as I was already extremely anxious already during the first week. However, I went on CAPS' website to make an appointment, and nothing was available. I checked multiple times a day to see if anything suddenly became open, and it didn’t. Because I am a new student who hadn’t had any experience with CAPS, I wanted to reserve judgment. Still, it made me feel unsafe that it was already so difficult to make an appointment at the beginning of the quarter – especially because Northwestern emphasizes during Wildcat Welcome that CAPS and the other support resources on campus are here to help students 24/7. Despite the assumption that people who appear to be OK are not experiencing any mental illness or lapse in their mental health, appearances can be deceiving. A lot of people can be stoic and hold things inside because it's uncomfortable to be vulnerable and open up to a friend or family member let alone a stranger. You have no idea what someone is going through unless they explicitly tell you. Starting a new school year, and especially starting college, can be a stressful experience and yet many people act as if they are doing great all the time. Especially when transitioning into your first year of college, adapting to a new environment both in a new physical space and the people you are surrounded by is extremely overwhelming. This can be one of the most isolating experiences, and not everyone is understanding. In the end, you just have to do what is best for yourself, but that is extremely difficult to do when you feel so alone, have no idea what is happening and have few close people in your life to help you through it. For a while during my year of recovery, I suffered from post-traumatic stress disorder. I had absolutely no idea what was happening. Part of it stemmed from the fact that I already have anxiety, but a lot of it came from the amount of pain that I experienced. I had a herniated disc in my lower back, which is a common injury but not for people my age. The problem wasn’t the injury itself but the unbearable nerve pain it caused. For me, the pain got to the point in which I couldn’t stand, walk, or sit and was forced to crawl to the bathroom. The act of physically getting out of bed to go to the doctor and trying to be mobile was traumatizing. On my way down the elevator from my first appointment, I experienced a vasovagal response, which basically means that I fainted because my body couldn’t handle the intense pain. I had a couple of procedures to try to reduce the inflammation but they didn’t work, and my injury was so severe it ultimately required surgery. After the surgery, I had a panic attack my first time sitting in a restaurant. Both of legs started to go numb and I freaked out. I kept getting up out of my seat trying to regain feeling not understanding that this was normal when your nerves are regenerating. I sat back down and felt a rush through my body. I instantly felt like I was going to have another vasovagal reaction. Everything around me suddenly felt disoriented. I was in complete shock. When I got home I insisted that I needed to go to the hospital, it felt like something really awful was happening. My mom has had experience with this herself and knew that it was a panic attack. As I was shaking uncontrollably, I sat with her trying to breathe and relax. This was when I knew it was time to speak to a professional. Speaking to a therapist and acknowledging my emotions and what I was going through allowed me to recover both mentally and physically. The body and mind are linked and many of the things you feel emotionally can directly impact how you feel physically. As a result of getting support when I needed it most, I have a better control of my anxiety and a new perspective on life. I am actually grateful that I went through that experience in spite of everything. After speaking to a professional, I was not only able to work through my anxiety regarding the injury, but also something that had been affecting me my whole life that I had been pushing aside. When I arrived at Northwestern I wasn’t in that level of crisis mode; I just wanted to speak to a professional who could hear me out and provide some support, which should not be an issue at all. It shouldn’t be difficult to schedule an appointment, let alone a 15-minute phone-consultation before the actual session. Having to wait long is a dangerous concept. The longer you hold things inside, the more they start to build up in your own head and make you feel worse. The total undergraduate tuition, including fees, on-campus room/board, books and supplies, personal expenses, and transportation is $75,753. Why isn’t more funding being dedicated toward CAPS? Why do they have to constrain our access to mental health services? Students shouldn’t need to wait until they are experiencing a crisis in order to speak with a professional. Regardless of if you have a mental illness or are experiencing a temporary lapse in your mental health, both are valid reasons to speak to someone. Having to wait to get an appointment could make the difference between getting a new lease on life or a life-threatening situation. While I can only speak from my situation and understand that many things are out of our control, the University cannot ignore that the key to dealing with mental health issues is to speak to someone early on. Although it is amazing that Northwestern offers these services in the first place, one should not have to wait so long to have access to them (I myself don’t know what I would be like today if I had to have waited so long to speak to someone). 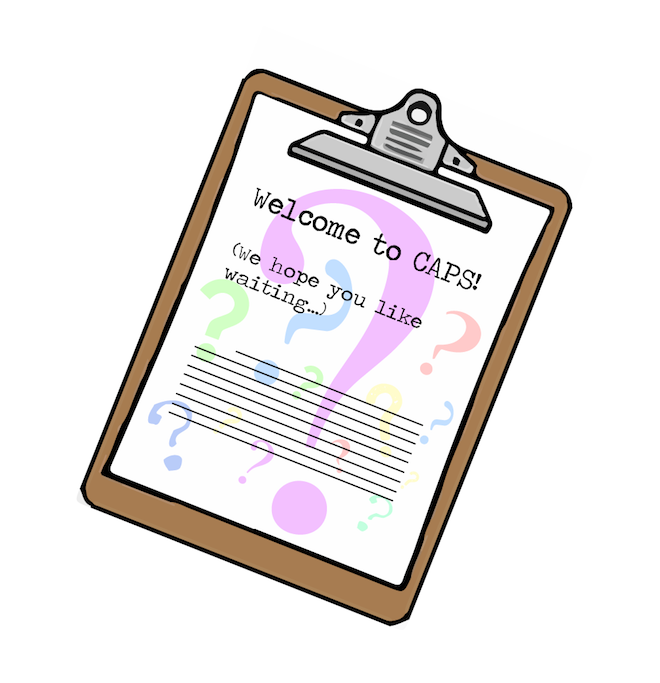 CAPS needs to rethink its approach to the issue and ensure their immediate help is not only offered in the case of an urgent situation.